Grocery shopping is fun again! Our recycled P.E.T. 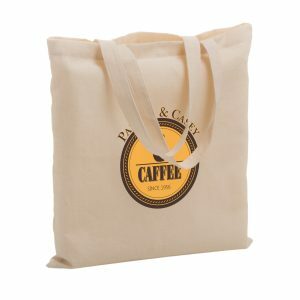 grocery shopper bags measure 12″ x 13″ with 8″ gussets and are 100% recyclable and crafted from 130 GSM Recycled PET fabric. These eco-friendly bags are made from 100% recycled plastic bottles. Handles are reinforced for strength and measure 1″ wide and 20″ long. Features colorful stock designs printed on gussets. Available in three different color/design choices. 100% recycled 130 GSM P.E.T (recycled plastic bottles) – Recyclable # 1. 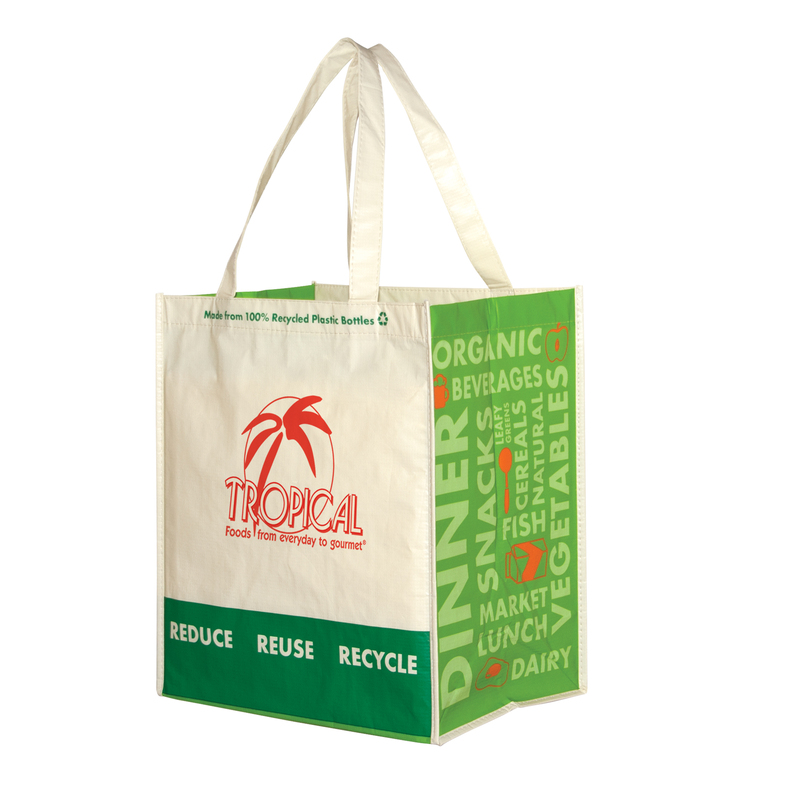 12″ W x 8” Gussets x 13″ H.
RPET Laminated Grocery Bag is a recycled grocery shopper bag that is 100% recyclable. Crafted from 130 GSM Recycled PET fabric. Made from 100% recycled plastic bottles. Amazing for any trade show or corporate promotional campaign. See other great options here. 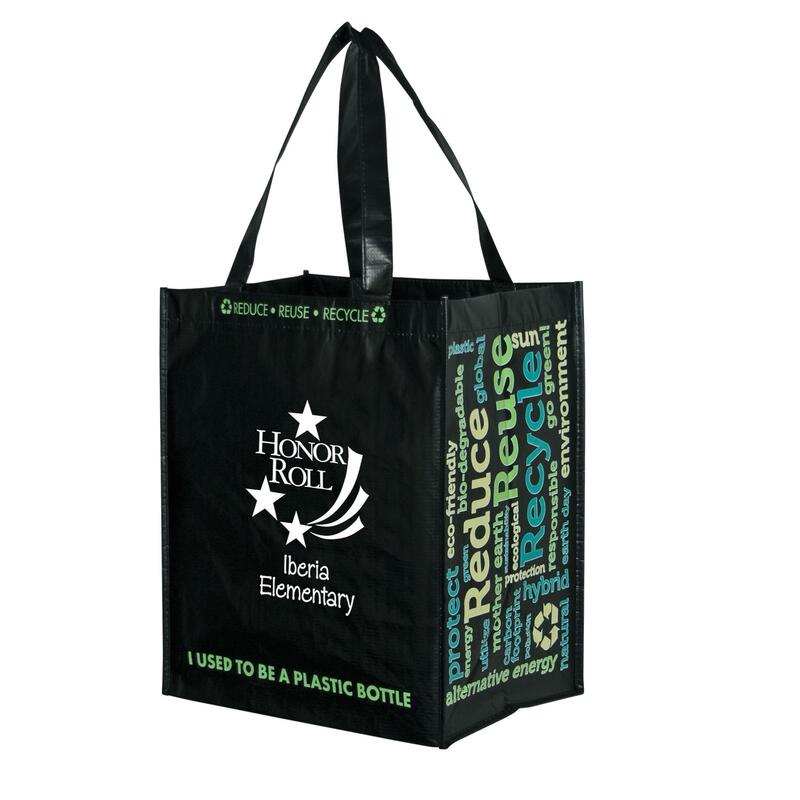 Green shopper bags are a great way to set your next marketing campaign off on the right path. That’s why these products and all the promotional items we offer are an effective and affordable marketing tool. 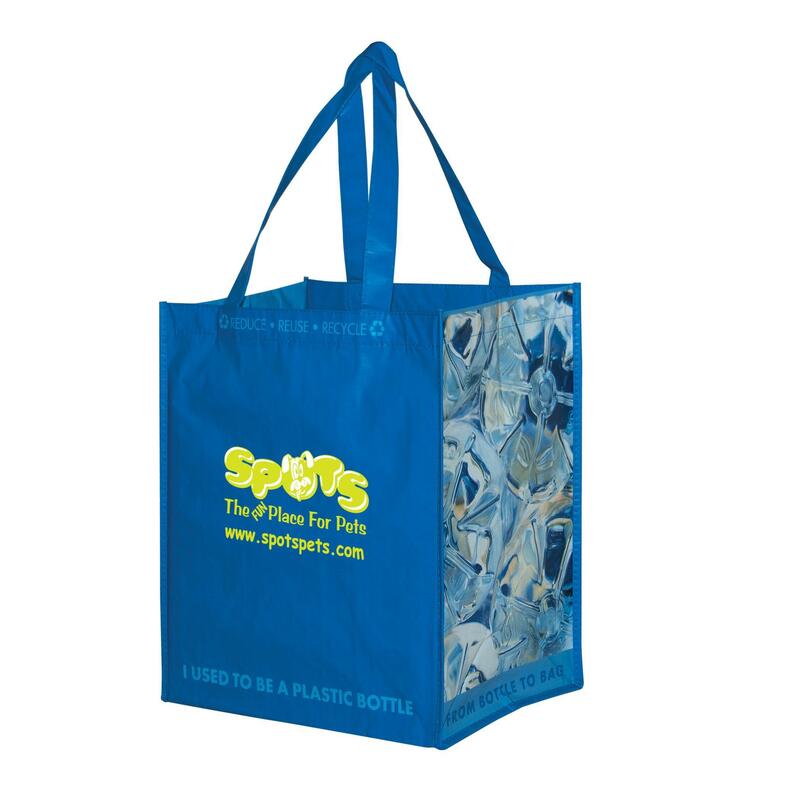 This includes items such as these recyclable bags in bulk. 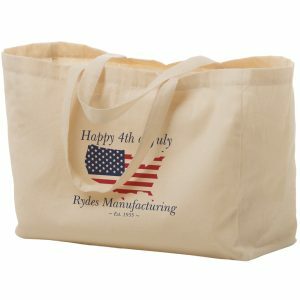 Perhaps your business has a trade show or corporate event approaching that you need green reusable products for? 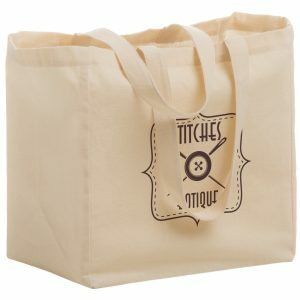 You can also combine our tote bags with our other top-notch products. Possibly one of our wholesale tee shirts or custom imprinted lanyards will do the job? Take a look at all other items we offer at customgreenpromos.com. Grocery shopping is fun again! Our recycled P.E.T. 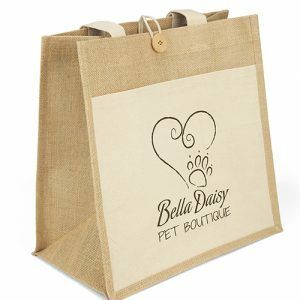 grocery shopper bags measure 12″ x 13″ with 8″ gussets and are 100% recyclable and crafted from 130 GSM Recycled PET fabric. These eco-friendly bags are made from 100% recycled plastic bottles. Handles are reinforced for strength and measure 1″ wide and 20″ long. Features colorful stock designs printed on gussets. Available in three different color/design choices. Material: 100% recycled 130 GSM P.E.T (recycled plastic bottles) – Recyclable # 1.